documentary film “When We Were Apollo”. from the moment I started it! the inside scoop on what it was like working for IBM/Nasa. about, must have been amazing. I was in total awe. and the men and women (not many!) who made it happen. dream team who made the extraordinary achievement, of landing a man on the moon, possible. Bold and complex, women’s issues and equality are underlying themes of this richly woven tale. With something for everyone, The Step is a must read! Order your copy today. 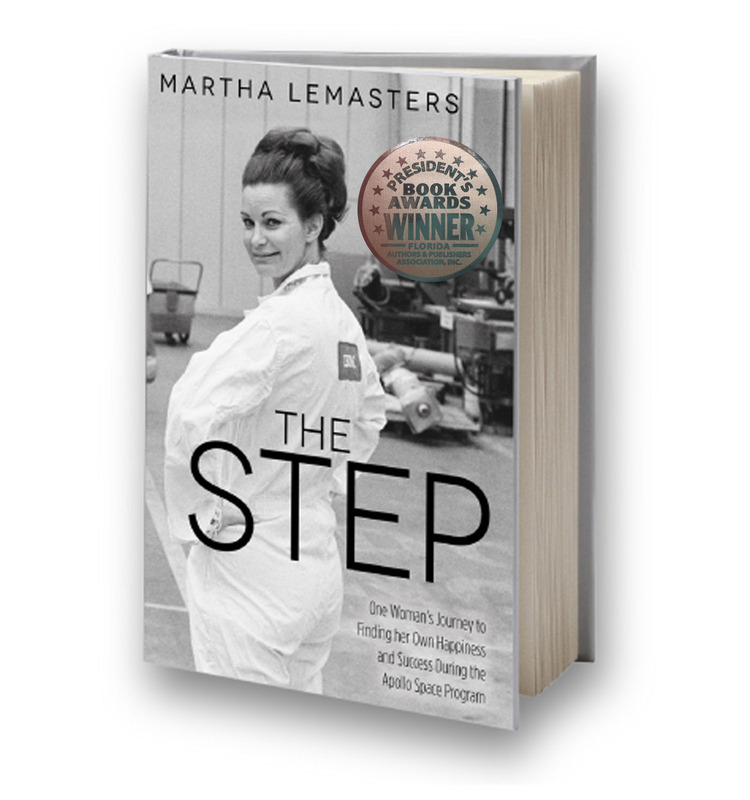 The Step is available for purchase on Amazon.com, Barnes & Noble, BooksAMillion & IndieBound.org and can be found at many other retail locations where books are sold.